When we talk about biomass carbonization, we are talking about a kind of high-temperature carbonization and pyrolysis process. It is the process which can convert biomass(like wood, rice husk, coconut shells, palm kernel shells, sewage sludge, etc.) into bio-charcoal in a high-temperature environment. Many people are curious about the temperatures during the carbonizing process. So, let’s find the answers today. A complete biochar making process contains several steps like feeding, reacting, discharging and combustible gas recycling, etc. 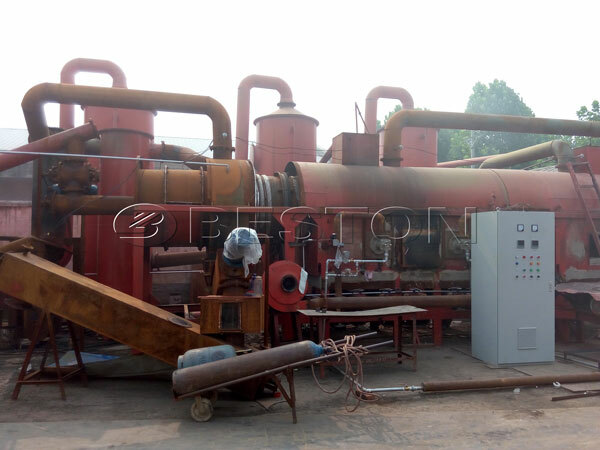 In fact, there are different biochar pyrolysis temperatures during every step of the carbonization process. Carbonization temperature, i.e. the required temperature for the reaction of the raw materials. For biomass, it is usually between 380 ℃ and 450 ℃. But if you choose sewage sludge or municipal solid waste as the raw material, the temperature should be higher than 600℃. Discharging temperature, i.e. the temperature of the biochar generated through the biomass carbonization process. Usually, it is under 30 ℃. Furnace temperature, i.e. the interior temperature of the carbonization furnace. It is usually between 450℃ and 600 ℃. The secondary combustion temperature of the combustible gas, i.e. the combustion temperature of the recycled combustible gas. For biomass, it is above 600℃; for sewage sludge or the municipal solid waste, the temperature should exceed 800 ℃. To make sure a safe and high-efficiency carbonization, the temperature of each part shall be monitored and controlled. A whole set of Beston charcoal making machine usually has 4-6 thermocouples to test the real-time temperature of every point of the machine. The thermocouples are connected to the PLC, from which the operator can read the temperatures directly. The reaction temperatures and reaction times decide the final statistics of the final product. 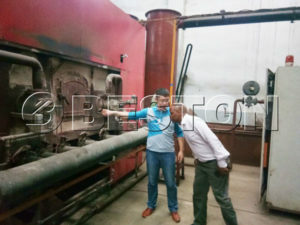 Therefore, the Beston engineering team designs the control cabinet to adjust the rotating speed of the draught fan according to the statistics of the temperatures, so as to make sure the quality of the final product, biochar. 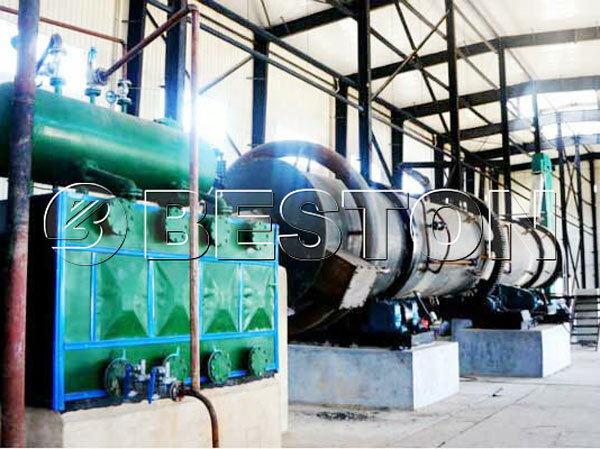 Owing to the spirit of Making Perfection More Perfect, Beston is capable of designing and manufacturing the high-quality biomass carbonization machine. We have the professional and rigorous attitude of research and pay attention to every detail of the machine. And that is what makes our products stand out on the international market.